NSW Blues to take Shield cricket back to the Bush | The International Cricket Hall of Fame. 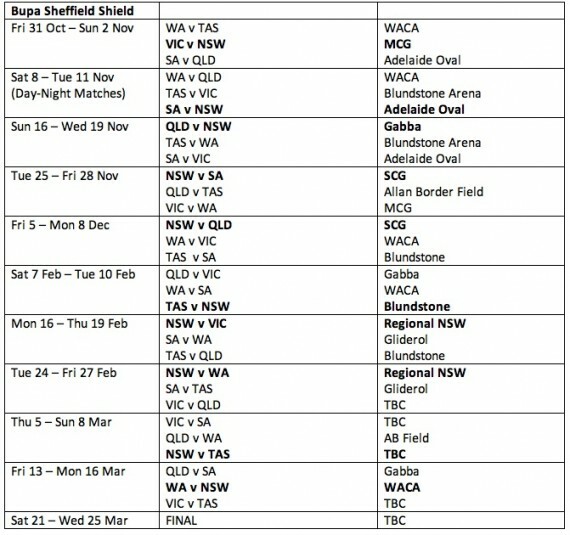 Shield cricket will return to the ‘Bush’ in season 2014-15, with the NSW Blues to play two matches in Regional NSW. With discussions having taken place over the past few months an official announcement re specific venues is expected within the next fortnight. The return to Regional NSW will be just reward for Country cricket fans who will get a chance to see the current Shield holders up close and personal. 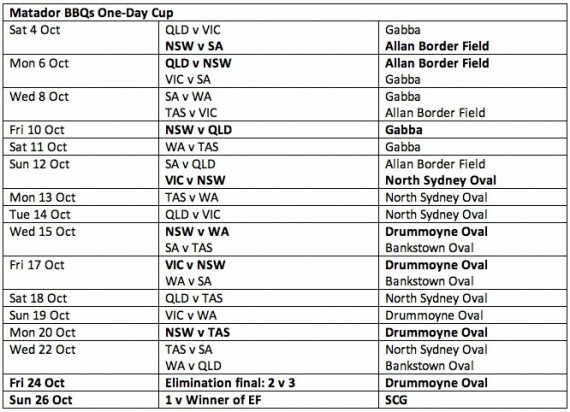 With the Ryobi Cup being split between Brisbane and Sydney this season, One Day fans will get a chance to watch four home fixtures, with matches being played at Drummoyne Oval and North Sydney Oval. The competition will begin on Saturday 4 October in Brisbane, with the first match in Sydney on Sunday 12 October between NSW and Victoria at North Sydney Oval. At International level the SCG will host a blockbuster Carlton Mid One Day match against India on Australia Day, which is also India’s Republic Day, with further one dayers against South Africa (Sunday 23 November) and England (Sunday 18 Jan). In addition a KFC T20 International against South Africa will take place at Stadium Australia on Sunday 9 November. The Commonwealth Bank Sydney Test match against India will remain in its traditional New Year’s timeslot, starting on Saturday 3 January. 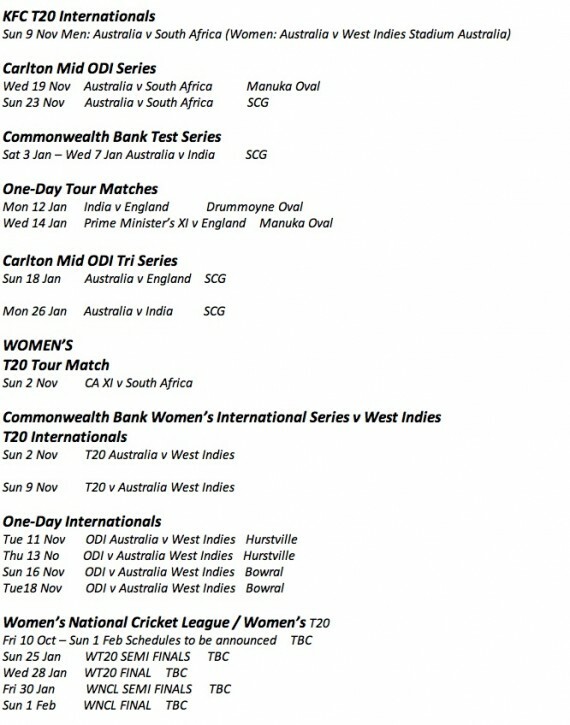 In addition there will be a feast of both International and Domestic women’s cricket throughout the summer, including 4 One Day Internationals against the West Indies, plus a T20 International against the same opponents before the men’s match at Stadium Australia on Sunday 9 November. Cricket Australia CEO James Sutherland was also excited at the season ahead for NSW cricket fans: ““New South Wales will again play a key role in the summer, hosting men’s and women’s international cricket, including the Commonwealth Bank Pink Test, a KFC International double header at Sydney Olympic Park and a Carlton Mid ODI Series match between Australia and India on Australia Day at the SCG. “After the success of last season’s tournament format, Sydney will again be home to the Matador BBQs One-Day Cup, this time sharing hosting duties with Brisbane. The Matador BBQs One-Day Cup Final will be held at the SCG with Drummoyne Oval’s new lights to be put into action with the first day-night broadcast matches played at the venue. In NSW, drink-driving kills more than 50 people and injures more than 1,000 every year. Make sure you have a safe Plan B option before you head out. Catch public transport, call a taxi or ring a friend to come and get you. There’s no excuse for drinking and driving.